The Dodgers National League Division Series roster was filled about as well as it could have been against the Diamondbacks. They went with 13 pitchers and 12 position players. In the National League Championship Series, the number should stay the same, but a couple players could be moved in and out. Let’s start with the pitchers. 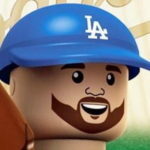 Dave Roberts has already said Clayton Kershaw will start Game 1 and Alex Wood will get Game 4, so there probably won’t be any Hyun-Jin Ryu shenanigans in the NLCS. Roberts also announced Yu Darvish and Rich Hill will start Games 2 and 3, but it isn’t known exactly which game both will start. It appears Hill is more likely to start Game 2 than 3, for what it’s worth. With the starting pitchers set, the bullpen is going to need eight bodies. The obvious ones are as follows: Tony Cingrani, Josh Fields, Kenley Jansen, Kenta Maeda, Brandon Morrow and Tony Watson. That leaves two spots to fill. Pedro Baez and Ross Stripling filled those spots in the NLDS, but neither got into any of the three game. Factor in the fact the last roster spot was between Baez and Tim Locastro and it’s pretty safe to say Baez will be out in favor of Luis Avilan, whose shoulder is healed and gives the Dodgers another left-handed option out of the bullpen. All these guys are on the “taxi squad.” They’ve been staying in game shape at Camelback Ranch since the season ended. Honestly, I think we can rule out Ryu because the Dodgers will have six other lefties on the staff. Buehler is intriguing because of the pure stuff, but he’s also the most unproven. McCarthy is the battled-tested veteran, but he also has just four relief outings since 2009, and three of those came this season (6 IP, 7 H, 4 R, 2 BB, 6 K). Stewart is an interesting option because he’s a little underrated in my eyes. Despite not having a premium breaking ball (his slider is good-not-great) to pair with his changeup, he was better against righties this season than lefties. The sample size isn’t great and there wasn’t much of a platoon split in the minors (more slugging from righties, more on-base from lefties). Plus, he got off to a slow start due to a sore shoulder after Spring Training. Long story short: I think this comes down to McCarthy or Stripling. Because of familiarity, I’m leaning toward Stripling, but McCarthy’s ability to keep the ball in the yard in awfully enticing. Then again, if the last man in the bullpen is pitching, things are going either really well or really poorly — meaning their appearance(s) may not be overly important. The only concern on offense there might be is with Corey Seager. He apparently tweaked his back on a slide in Game 3 in Arizona. He’s day-to-day, but aren’t we all? 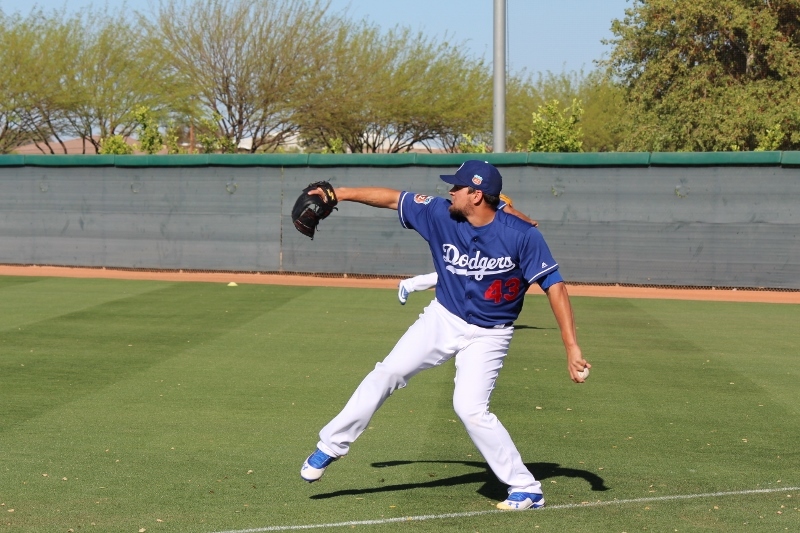 Enrique Hernandez and Chris Taylor took grounders at shortstop during the Thursday workout at Dodger Stadium, just as a precautionary measure. But let’s go down this rabbit hole just a bit. If Seager is, somehow, unable to play or unable to play a full game, then that could open up the door for Joc Pederson to find his way onto the NLCS roster. That would give the Dodgers another center fielder against right-handed pitching and allow Taylor to slide to shortstop. It’s less than ideal (and probably won’t happen), but we’re just road mapping here. If you want to go down even further, keep in mind if a player is replaced mid-series because of injury, he is out for the following series. So, if Seager (or anyone) is too injured to play the entire LCS, he would have to miss the World Series, should the Dodgers make it. Seager would have to be knock on death’s door to be replaced int he LCS, so it’s far from likely. But this is way down the rabbit hole. I assume Kyle Farmer would be the proverbial sacrificial lamb in this scenario. I can’t really see anyone else getting ousted before him. The fact Yasmani Grandal has effectively been demoted means there is less need for a third catcher. But if Austin Barnes keeps taking foul balls off the beanbag, the Dodgers might need one out of necessity rather than luxury. In the end, though, I think the Dodgers stick with the same 13 position players they had in the NLDS. If they had another viable right-handed bench option not named Charlie Culberson, Locastro or Rob Segedin, I could see a move being made. It’s really a bummer Trayce Thompson isn’t in able to perform up to his abilities. So, let’s make this prediction official. Rosters are due by 10 a.m. on Saturday. We’ll see if it’s any different than this.